Why Would I Need To Get My Wisdom Teeth Removed? Wisdom teeth are your back set of molars, and they really have no function. On the contrary, your wisdom teeth can actually cause all sorts of problems in your mouth if they aren’t removed. Sometimes these problems are acute, and noticeable almost immediately. However, wisdom tooth problems often pop up over time, not really becoming noticeable until they are already causing significant problems. Impacted wisdom teeth, which means that they don’t fit in your mouth, and they therefore grow crooked or in the wrong spot. Non-emergent teeth if there isn’t space in your mouth, your wisdom teeth may simply fail to emerge. They can get stuck in your jawbone, resulting in pain and infections down the track. Damage to other teeth or bones caused by overcrowding or wisdom teeth growing in the wrong direction. As you can see, it is wise to get your wisdom teeth out, even if they aren’t causing any immediate pain. If you don’t they may cause problems in the future. Before you get your wisdom teeth out, you must see your dentist. They will x-ray your mouth, and will tell you whether or not they actually need to be removed. If they do, you will be booked in for the procedure. 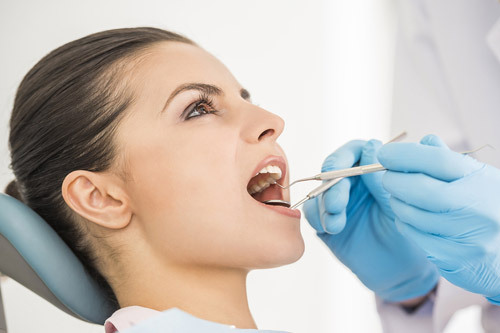 Depending on how your wisdom teeth are positioned, their removal actually isn’t that hard. You will need either local or general anaesthetic, which means that you shouldn’t eat or drink in the lead up to your operation. Apart from this, speak to your dentist and make sure that you are comfortable with what they are going to do. How Do I Make The Recovery Easier? Unfortunately, the recovery process is probably the hardest part of getting your wisdom teeth out. You may suffer the side effects of your anaesthetic for a day or two post operation. You face may swell, and you might experience a fair bit of pain. Be careful with what you eat and drink, take lots of painkillers and anti inflammatories, and spend a bit of time in bed. The pain will subside after a few days!